High-quality mixing desk dust cover for ALLEN & HEATH 21 Series 1221. Available in Microfibre & Polyester. High-quality mixing desk dust cover for ALLEN & HEATH 21 Series 621. Available in Microfibre & Polyester. High-quality mixing desk dust cover for ALLEN & HEATH 42 Series 16 4 2. Available in Microfibre & Polyester. High-quality mixing desk dust cover for ALLEN & HEATH Cmc 16. Available in Microfibre & Polyester. High-quality mixing desk dust cover for ALLEN & HEATH D Live S 3000. Available in Microfibre & Polyester. High-quality mixing desk dust cover for ALLEN & HEATH D Live S 5000. Available in Microfibre & Polyester. High-quality mixing desk dust cover for ALLEN & HEATH D Live S 7000. Available in Microfibre & Polyester. High-quality mixing desk dust cover for ALLEN & HEATH Dp 1000. Available in Microfibre & Polyester. 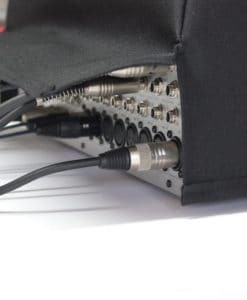 High-quality mixing desk dust cover for ALLEN & HEATH Gb 3. Available in Microfibre & Polyester. High-quality mixing desk dust cover for ALLEN & HEATH GL 2. Available in Microfibre & Polyester. High-quality mixing desk dust cover for ALLEN & HEATH GL 2000 412. Available in Microfibre & Polyester. High-quality mixing desk dust cover for ALLEN & HEATH GL 2000 416. Available in Microfibre & Polyester. High-quality mixing desk dust cover for ALLEN & HEATH GL 2000 424. Available in Microfibre & Polyester. High-quality mixing desk dust cover for ALLEN & HEATH GL 2000 432. Available in Microfibre & Polyester. High-quality mixing desk dust cover for ALLEN & HEATH GL 2200 412. Available in Microfibre & Polyester. High-quality mixing desk dust cover for ALLEN & HEATH GL 2200 416. Available in Microfibre & Polyester. High-quality mixing desk dust cover for ALLEN & HEATH GL 2200 424. Available in Microfibre & Polyester. High-quality mixing desk dust cover for ALLEN & HEATH GL 2200 432. Available in Microfibre & Polyester. High-quality mixing desk dust cover for ALLEN & HEATH GL 2400 416. Available in Microfibre & Polyester. High-quality mixing desk dust cover for ALLEN & HEATH GL 2400 424. Available in Microfibre & Polyester. High-quality mixing desk dust cover for ALLEN & HEATH GL 2400 432. Available in Microfibre & Polyester. High-quality mixing desk dust cover for ALLEN & HEATH GL 2400 440. Available in Microfibre & Polyester. High-quality mixing desk dust cover for ALLEN & HEATH GL 2800 832. Available in Microfibre & Polyester. High-quality mixing desk dust cover for ALLEN & HEATH GL 2800 840. Available in Microfibre & Polyester. 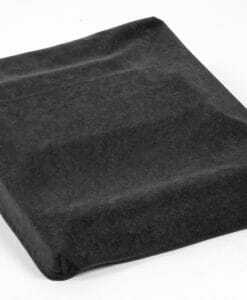 High-quality mixing desk dust cover for ALLEN & HEATH GL 2800 848. Available in Microfibre & Polyester. High-quality mixing desk dust cover for ALLEN & HEATH GL 2800 856. Available in Microfibre & Polyester. High-quality mixing desk dust cover for ALLEN & HEATH GL 2800 M 24. Available in Microfibre & Polyester. High-quality mixing desk dust cover for ALLEN & HEATH GL 2800 M 32. Available in Microfibre & Polyester.